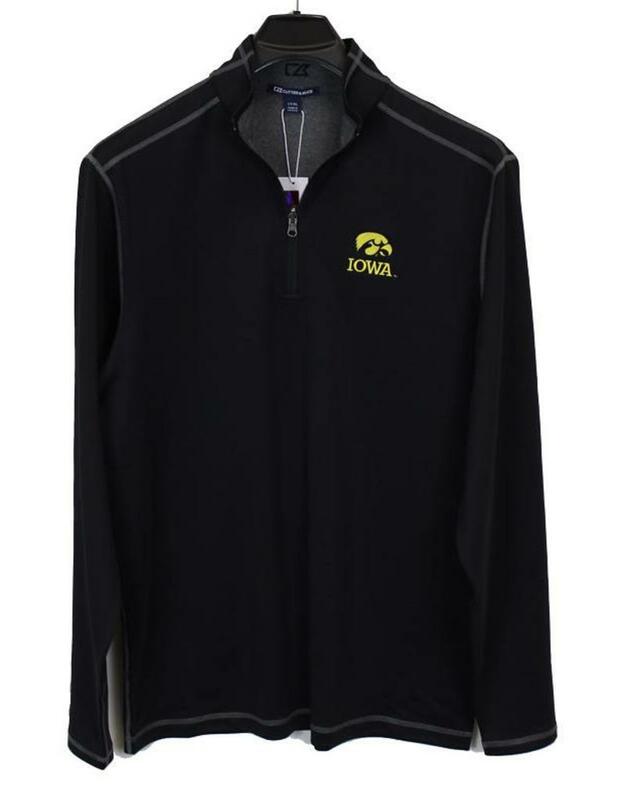 From Cutter & Buck's Drytec line comes a great long sleeve reversible overknit half zip with the Iowa Hawkeye logo embroidered at left chest. A versatile piece as you get two looks for the price of one. Support you team pride one day, wear it not showing the logo on another day. 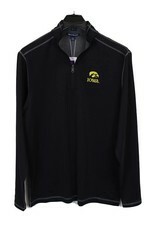 Each color available reverses to a gray with the stitch detail accenting the reverse color for an added pop of style.